It makes sense that when your Amazon business is up and running well, you may want to add a totally different brand or niche to your overall business strategy. There are so many opportunities that kind of approach can provide. When heading in that direction it might be tempting to open a second seller account with Amazon. Is it legal (with Amazon)? Should you do it? 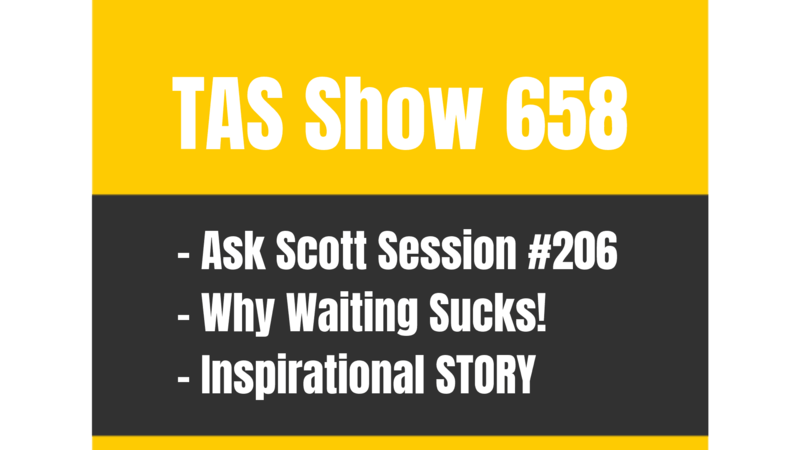 Scott’s got some very clear ideas about the subject and is eager to share them with you on this episode, so be sure you listen to get some perspective on whether or not it’s time for you to create a second seller account. Why do you want to open a second Amazon seller account? Many people who are successful at Amazon private label sales are entrepreneurs, and entrepreneurs are known for having tons of ideas bouncing around in their heads. One of the struggles every entrepreneur faces is keeping their own ambition and eagerness in check so that they don’t get too strung out. It may seem like a great idea to build a new brand but most people take that on far too soon. On this episode you’re going to hear Scott’s thoughts about why you should reconsider that choice and what things you can do instead to maximize your profitability and business. What are some of the hassles of opening a second Amazon seller account? When you open a second Amazon seller account you’re not breaking any rules. Amazon will let you do it, but they will want to see certain things in place. For example, you’ll be required to have a different business entity for that account than the one you have on your first account. You’ll also be required to provide different banking information. These are just two things you’ll have to restructure in order to open a second account – and there’s even more besides these. Scott’s going to walk you through every one of the things he can think of that makes it difficult to manage and deal with two brands and two Amazon accounts. It’s all on this episode so make sure you take the time to listen. Building out a product line instead of starting a brand new brand. Instead of building a second brand, what would happen if you totally maximized every opportunity you have in your current private label market? In Scott’s experience, most people who are selling on Amazon have not done their due diligence to build out their product line and opportunities to the greatest effect. They’re missing things like sales funnels, email lists, external sales channels, social promotions, and more. Where are you in the stages of building out your current product line? 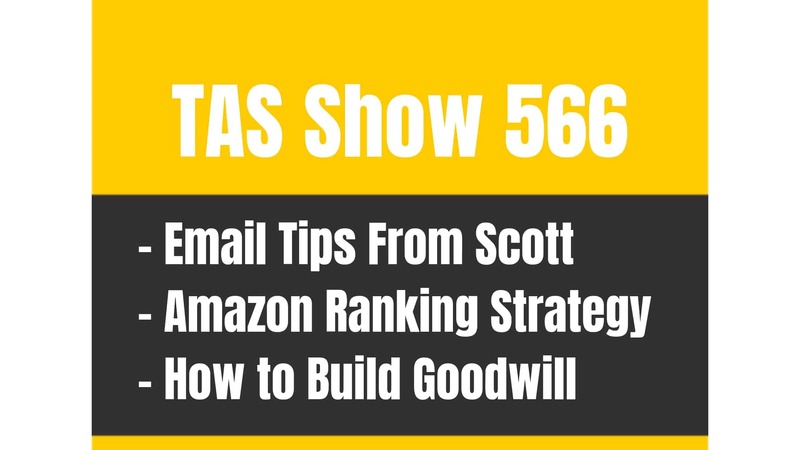 On this episode Scott will show you the kinds of things you need to consider when thinking through whether you should open a new Amazon seller account or not. Why an external sales channel is the next step for any Amazon business. Scott strongly believes that every Amazon private label seller should work hard to establish a sales channel outside of Amazon after sales on Amazon have become consistently successful. He subscribes to the idea that you should never put all of your business eggs in one basket – and though Amazon is a very LARGE basket, it’s still only one sales channel. On this episode Scott walks through the main ways that you can build your own sales machine independent of Amazon and tells you why you should focus your efforts there instead of building a second brand on Amazon. It’s a great summary for you to consider, on this episode. [4:03] Starting two differing brands – Is it time to take that leap? [9:00] Considerations when growing/scaling a business – multiple accounts. [14:32] 5 reasons to reconsider opening a second seller account. [18:06] The complications that come from a second brand as opposed to a broader existing market. [19:45] Why the next phase for any Amazon business is external sales channels. www.TheAmazingSeller.com/209 – The episode with Papa V Scott mentioned. www.TheAmazingSeller.com/live – Find out about the next TAS live event. www.TaxJar.com – sales tax info. …they get started and then they want to roll out more than one brand. I want to talk about that. I want to give you my thoughts and what I think would be the smart move especially when you’re just getting started. That’s what we’re going to be talking about today. I want to remind you that the show notes to this episode are over at the amazingseller.com/215. There’s transcripts there for you there as well. I know a lot of you have requested to have them so now they’re provided for you so please go over and download them or go check them out at the podcast because they’re there for you. I actually I met a lady in… I may already have said this story but I’m going to say it again. I met a lady in Miami who said, “Scott thank you so much for adding the transcripts because when I’m at work I can’t listen, so what I do is I read.” So I thought that that was kind of funny that she’s actually reading this at work and she can skim through. Definitely go check out the transcripts. I created them for you so this way here you guys can consume any way or sometimes you just want a written form and you can put them into your notes or whatever. The other thing I want to remind you guys real quick is about an upcoming workshop. The workshop is going to be on June 16th depending on when you are listening to this, we’re getting very close to that date right now from when this airs. June 16th will be one of my last workshops for about four to five weeks, maybe six weeks depending. I’m going to be moving so I’m going to be taking a little bit of time off from doing any workshops or any online training for that matter. If you want to attend that workshop where I cover exactly how I went from no product, to finding the product, to sourcing it and then to launching it. [00:02:05] Scott: Then now what I’ve learned from that and then making it a simpler process. That’s what I really go over on these workshops. If you want to check that out and you want to hang out with us and register head over to theamazingseller.com/workshop and you can register for that one on June 16th which is a Thursday night at 9 o’clock p.m EST. Now there will be a replay for that one. We normally don’t do replays but the reason why I’m doing a replay is because I get a lot of people that want to listen or watch the actual workshop but they’re in different time zones all over the country or all over the world and they want to be able to see it. We don’t normally do that because I get a ton more questions than I already get but I’m going to be doing it for this reason. Number one, I want to make sure that everyone can see it because I’m not going to be doing one for a while and the other thing is is we are going to be closing our registration for our class. Our private label classroom. So I wanted to give everyone at least that one last opportunity before we end up closing the registration until we reopen again in mid July because that’s about the time that we’re hoping to get open back again. So I just want to let you guys know that as well. [00:04:01] Scott: That interview with my dad really broke down his journey and also what he taught me through that process as growing up and seeing what he was doing. If you guys have not checked out that episode, definitely go listen to it. Again, that is episode 209, you can find that at theamazingseller.com/209. The show notes to this particular episode will be 215 so that’s the amazingselller.com/215. Alright let’s go ahead and dive into the question of, “Scott, I want to create more than one seller’s account because I have one idea for a brand over here and one idea for a brand over here.” First off, let’s do a timeout real quick. You guys can’t see me but I’ve got the time out sign like I’m a basketball ref like I’m blowing the whistle, time out, wait a minute. There’s one thing that we just said. I’m going to be starting two different brands, I have an idea for brand one and an idea for brand two. The first thing is we’re way too far ahead. We’re not even there yet. That’s one mistake I see a lot of people make is they want to take the idea and automatically start both at the same time. The problem with that is you’ve got two different things going now, so you’ve two different things to maintain when you haven’t even got one rolling yet. I would pick one and start there. Now the other thing is Amazon doesn’t really like us to have multiple sellers’ account. Now will they give you one, yeah they’ll give you one. You just have to give them a good reason that you want one. And it could be well, my wife has her own business and she’s starting over here and I have my own business over here and we’re launching our own businesses. That’s totally possible and Amazon will probably say fine. They are going to want you to have separate entities though, different business entities or it’s going to be at first maybe your social security number is all that they will need. But here’s the deal, when you’re first starting, I don’t necessarily think that that’s going to be your best move. Now if you are at the point where you got a brand that’s up and running and you’re feeling pretty good about that. You got three four five products that are running and you feel like you got it under control, well then if you want to do that, then go for it. [00:06:06] Scott: I personally would probably take my efforts and then start building my external channel which you guys are going to hear me talking more about in the future but I would probably start focusing more of my time as, “Okay how can I now build out my own brand outside of Amazon? How can I grab some Facebook ad traffic and bring it to an offer that gets people on my email list and then I can send them to a nurture campaign where we talk about how to get more value to that particular customer. How to get them to know they can trust our brand. How to give them value so then they’re going to want to come back or right then and there they are going to want to buy our product that we have that surrounded the content.” All of that stuff is what I’d be focusing on because that’s where the real growth can happen. I was just at an event in Miami, you guys heard me probably talk about that, the Seller Summit.I sat down with a seven figure Amazon seller and his main thing that he really stressed was, and the reason why he’s so successful is because he’s built the outside channel. He gets 25 of his traffic, 25% of his sales from Amazon and 75% of his own sales funnel and traffic and e-commerce and all of that stuff. Again you really need to understand where you are at and is it going to detract where you are. The better option to me right now is if you’re thinking about testing out another brand just have a generic brand on your sellers account. Could be XYZ Wholesale and then from there you could do a brand that is about kitchen utensils maybe like the garlic press. Then the next one could maybe be about fishing gear. Now you’re into sporting and outdoor. You could have two different brands underneath your main brand that you have that you’ve registered with Amazon. Then that way there when you launch a product, it’s going to go underneath that one brand. It’s not going to go necessarily just as your main brand. [00:08:00] Scott: Your main brand will be housing both of those but those two different sub-brands are going to be on their own in a sense but it could be part of your main brand if that makes sense. Hopefully that’s not too confusing. The other thing that you could do is, let’s say for example you’re not doing it with your wife or your husband and you’re doing it with a partner. Well that partner can then go and get their seller’s account. That’s an option. If you’re going to do a partnership you might want to do that. It’s going to be an easier process because it’s going to be in their name, it’s going to be in their social and all that stuff. But you’re probably going to have some stuff in writing and all that stuff. Again that might be an option too that if you’re going into a partnership with a partner and maybe you’re thinking about building a brand and then selling it, that’s going to be easier to sell because now you can just hand over the keys to your seller’s account in a sense. To where then you can just sell it off and you are done and then that partner’s information gets changed and then it gets turned over to the new seller or the new owner. Now here’s the other thing to consider, when you’re scaling a business and for those of you that are brand spanking new and you’re like, “Scott what do you mean by scaling a business?” What I basically mean is growing the business. When you take something that’s kind of working and then you scale it and then you start to build it even bigger. Things of that nature could be like building multiple social accounts or multiple social media accounts. If you’re doing it for one brand then you build out a YouTube channel that demonstrates your product or it gives you the face to the brand. Or then maybe it’s Instagram because maybe that’s where your audience is hanging out or maybe it’s Pinterest, right? So all of these different channels are great channels in some markets but those are things that you’re going to be doing to scale your business and also build brand awareness and all of that. But guess what? It takes a lot of work. [00:09:58] Scott: Now imagine if you’re building multiple brands or even two brands, now you’ve got two Instagrams, two Pinterests, two YouTubes, you’ve got all of that stuff. To me, again, I wouldn’t be building multiple brands on multiple sellers’ accounts because it’s going to make it a lot harder. That’s why I always try to tell people like when you’re going into this try to build it out with the idea in mind that you’re building a real business that could have a these different platforms eventually. Then again, moving forward like I said, let’s say that you’re going to start going down the road of taking Facebook ad traffic and you’re going to turn that into potential customers and then into a customer. Then you’re going to lead them through some content, you’re going to build like an external funnel, it’s what I call it or a channel that you’re going to be able to control. Again that’s going to take some work. It’s going to take some effort, it’s going to take some learning. Well, imagine doing that with another brand especially if you’re not up and running. There’s so much that we can do to build out our current brand. There’s so many things right now that you’re probably not even doing or maybe even thinking about doing. I know this because recently when we were in Denver we had a private event. It was 30 businesses, Amazon businesses and it was called TAS Breakthrough Live. It was amazing by the way. If you ever want to attend one of them you might want to jump on the waiting list or the pre-announcement list because we’re actually going to be doing another one here, we’re not quite sure when but it’s getting kind of worked out right now. You can find that at theamazingseller.com/live and you can go check that out. Anyway let me get back to it. By being there at this event, I had sellers there that were doing $80,000 a month but didn’t have any of this other stuff that I’m talking about. They didn’t really have a huge social awareness or a social presence. They didn’t have an external funnel built. They didn’t have an external channel started to where they can sell on their own platform. Because of that it shows me that you’re just getting started even if you’re doing $80,000 a month you’re just getting started. [00:12:07] Scott: I just actually had a conversation the other day with someone that’s in our private label classroom who’s doing $400,000 in revenue a month and guess what, he doesn’t have a funnel built yet. That’s like his next thing but he’s not there yet. He’s not doing it, he should be doing that and Scott if you’re listening to this his name is Scott. If he’s listening to this that is definitely something that we should definitely be working on and I think you already know that. Again I just want to let you guys know that a lot of people say like, “Oh I have this great idea for a brand. I’m going to do it. I got another idea for a brand, I’m going to do it.” We have all these great ideas sometimes that makes it work less effective because we’re not as laser focused. Staying laser focused is key. Whenever you’re thinking about that next brand there’s different times or circumstances that it’s a great idea. At this point it might not be the best time for you. You really have to decide that yourself. I just want to give you the big picture here of what you could be working on within your own business or your own brand that’s currently starting to get some momentum. Don’t stop that momentum. Continually grow and scale that. Now if you want to start that other brand because you have a great idea and there’s a partner that wants to go in with you on it and they want to start helping you with that on that might make sense. I’m currently doing something like that and it’s working but you have to have a good relationship, you have to understand what partnerships are all about. You have to have some stuff worked out. Again, I just want to give you guys the overall picture and I think a lot of people that are at this point will probably agree. There’s a lot of things that you could be doing that you’re not doing yet because you just haven’t gotten there yet. Building out these external channels and building out the social platforms and starting to engage, and starting to write some really great content or having it written and bringing your customer through the journey so this way here you can educate them further. [00:14:04] Scott: So they’re going to be more of an advocate for your business and being able to control Facebook traffic or Google traffic or any of that stuff. You can probably agree that there’s a lot that we can still do that we haven’t even tapped into. The option like I said is to do a sub-brand so if you have a great idea for the next product just put it as a sub-brand under your main brand. That’s what I would probably recommend but the key is here staying laser focused. That’s key. To have to go through that work in order to get that entity set up. The second part of that, number two this is need another checking account. Now you’ve got another checking account with money that’s going to be funneling into this checking account. Then with that checking account, you got to balance it, you got to basically have all that stuff on the books and all that stuff. You have to have another checking account. That’s to me another thing that is there. Again if it’s the right time and it makes sense, not a big deal. Number three, insurance. You’re going to need some more business insurance for that business. It’s is a separate business now. You’re going to probably want some liability insurance for that business as well. See everything doubles at this point. Everything is doubled as far as the amount of work but also the different I guess the different elements that go into having a real legit business. Number three is your insurance. [00:16:09] Scott: Number four, sales tax. We’re not going to dive into this too much. If you guys want any more information about sales tax head over to Tax Jar. A ton of information over there. Just to keep it simple, both businesses, you’re probably going to be collecting sales tax. Guess what, you got to register your business in the states that you’re going to be collecting sales tax. A whole another thing. You have to maintain that or have someone else that does it for you or maybe it’s the partner whatever. The fifth thing is accounting. It kind of goes back to the checking, the checking accounts but really it’s like you have accounting software. Whether you’re using Freshbooks or QuickBooks or I use Waveapps, whatever you’re using, you’re going to need that account to manage that business. You’re not going to mingle the two together. You’re not going to have those two group in to it because you’re not going to know what the numbers are. All of those things are to me they’re big reasons of why you might not want to do that right now depending where you are in the process. Again, I’m not shooting the idea down completely, I’m just saying most of you listening are probably not there yet. I would recommend not going down that road yet. I would do maybe a sub-brand underneath my main brand but obviously I would want it to be related to the main brand so if your main brand is XYZ wholesale where you can sell fishing rods you can sell garlic presses. You can sell all of these different things under these sub-brands and then that way there you’re kind of protecting the entire brand. Or everything is funneling into the one brand. If that makes sense. Again this can get really complicated. I don’t think it has to but I think if it’s starts to feel like it’s getting complicated I would then I guess pull away from that and I would focus on what is the thing right now that you should be focusing on to give yourself as much growth as possible as fast as possible. That’s where I would go. Wherever the momentum is going that’s where I would go. [00:18:04] Scott: Now the other thing I want to remind you is that you’re going to have more to manage. Bottom line you’re going to have inventory. You’re going to manage more inventory across that other brand and your current brand. Your social platforms like I said if you have social platforms if you’re there then you’re going to have to manage those. Your banking like I said. All of that, all of that. So you’re managing more things now. Again like I said, and I’ve said this before I think that building a product line can be a better business model long term because I think if you can take a market, again let’s think about what we’re doing here. Let’s say that we’re creating products that serve a market. If we’re finding products that serve a market, then we can build content around these products that are serving the market. If we’re selling a garlic press, obviously we’re going to be talking to or we’re going to figure out exactly who we’re talking to but for the most part we’re talking to people that love cooking and if they love cooking then how can we serve them better? How can we give them recipes on a regular basis? How can we share some cooking tips with them? How can we give them quick meals because they’re busy? Whoever the market is we want to figure that out and then we want to serve that market on a regular basis. Whether it’s fishing, let’s say that you’re selling a fishing rod. If you’re selling a fishing rod, well, you’re probably going to want to have fishing tips or you’re going to want to have the five things you need to know before you buy a pole. Then you’re going to give them all of those different things. You may be saying, “Well Scott, I’m not the expert. I know that this market is really a good market but I’m not the expert.” You don’t have to be. You can hire writers that can help you with that, content writers and all of that. Again I can go on and on and on about that because I believe that the next phase for any business on Amazon is really the external content marketing. It’s where you’re taking people through educating them through a funnel to then get them to engage with the content and keep coming back to the content. If they come back to the content there more chance. Wouldn’t you agree that there’s a better chance for them to buy something if they come back on your website five times versus once. [00:20:07] Scott: Just think about that. Once someone signs up for an offer… Let’s say that you’re giving away a fishing rod and you’re going to run a contest. You run a Facebook ad to that contest and then from there the contest you deliver like “hey before we announce the winner next week, wanted to give you five tips to catch fish this… Here’s five tips to catch more burst this weekend.” Then they’re going to consume thee content. While they are on there they might go to the store and see that you sell fishing lures or hooks or certain line or any of that stuff. Again, we got them in from a contest. We’ve qualified them and now we are going to give them content that’s going to build out over time, that’s going to educate them and they’re going to say also, “This company is really cool,” or this person. Maybe it’s you on video or maybe it’s you with a picture of you in that post that is educating them. Again, I can go through this for hours because I love this stuff and it’s definitely the right way to do it moving forward to building out a real full-fledged business. That’s just me personally and anyone that is taking this seriously is going to think about that. Alright, once you start getting traction on a SKU, then you’re going to want to start adding other SKUs to support that one SKU. Again, like I said if you’re selling a fishing rod, well it’s going to be fishing, line, fishing lures. Maybe it’s going to be fishing pole bag or it’s going to be the fishing pole storage unit there. My father used to have a bunch of them on the boat. Maybe it is that. Anything that goes around that product you could sell as the additional product. That’s building out your product line. [00:22:01] Scott: Amazon gives us a lot of that information. If we go to that listing and they say frequently bought together, well that’s a pretty good indication of what it is. Now the other thing you can do, is go into Facebook fan pages and look into those markets. There is a ton of them out there, I am sure in your market. You start to understand the market. You start to see what they are buying with this or what they are requesting that they wish. Maybe you could become part of that Facebook group and then start asking questions like, “What’s the best way to do this?” Then you can get ideas and you can see the response. All that stuff. There is a ton that you can do. Again building out that product line to me is the smart move versus launching another brand right out of the gate. Unless you see that that product you started with, that product brand isn’t going to pan out. If it is not going to pan out your right. Switch gears and pivot over to brand two and start building out that brand with the same intentions in mind of then growing that brand outside of Amazon. Then you are going to may be move to stage two and again that could be after you found that product and then you can start building out that product line. I get a lot of people say, “I got like five ideas for five different products.” Well they are products but they are markets. Understand that you are serving the market. If we serve the market then we can decide, “Is this product going to have other products that could be sold together?” That’s the big thing here. I can almost guarantee there is going to be multiple products. Just depends on now if it’s something that is just a one of thing and you know that there is not going to really be a market for it is kind of like they just buy it once and then you are not really going to be to sell them anything. I don’t know if there is anything out there that is like that but if there was, then you would probably don’t want to go too deep and too wide with that one. Again you know you just have to understand that you are serving a market and when we are talking about brands you want to really think about, if I build this brand can I build this thing out of Amazon as well and if that’s the case then we have to think about this right now. When is the right time to start a brand two or brand three? It just really depends. Me personally I think the best way to do that if you are not doing it yourself, is to partner up with someone with that other brand because it’s going to make it easier for you to maintain the two. Now, if you are going from one brand and then just scraping that one brand and then just going over to another brand that’s a different story. You will need help once you start to build out these brands or even make your brand bigger. [00:26:07] Scott: Like I said, I mentioned Scott, his last name is Thomas, I have had him on the podcast as well, doing crazy numbers right now. This guy has his brother as his partner and they are hustling just to keep up with inventory because they are selling so much and they are having a tough time with managing how much they need to order and how much they need to run other specials or brand building their external channels like all that stuff. There is so much that goes into building a real brand that you need to ask yourself, when is the right time and when should I should be considering another brand. For me personally right now it’s at that point where I can partner. If I can partner, add my expertise and then help build the brand, that might make sense for me. For me right now with everything that I’ve got going on, with the multiple businesses I’ve got going on, not just inside of Amazon, I need to ask myself the question, how can I do it without it taking up a lot more of my time and I think you need to ask yourself that same question. Not to mention the five reasons that I said that you should consider which are the main reasons which are kind of like the nitty-gritty is really like, number one, having like EIN number or another LLC, then another checking account, then having additional insurance, business liability, sales tax, number of businesses, accounting. Those are like the nitty-gritty stuff but really like I said building up the external brands so that they can grow. So you can build something that can go outside the Amazon that’s what you really need to ask yourself. It was kind of like a long winded answer I think because I get the question like, “Scott, when would you roll out another brand?” The other question I get,” When would you roll out product two or three?” That question really comes back to, “How well is product one doing and have you already maximized that to its fullest and do you have the capital to roll out product two without taking away from product one?” That is what it really comes down to. [00:28:04] Scott: I can sit here and rumble all day long as you guys can see because, I really think that focus is the name of the game. Focus is the name of the game and when you start to see some traction, when you start to see some momentum that’s when you can start to decide, when is the right time to switch gears or take your Amazon business that you started with and then pivot and then start adding the external channel and the external funnel, the content marketing, all of that stuff, your e-commerce, all of that stuff. When is the right time? You are only going to be the one to be able to answer that question truthfully. You need to ask yourself that and see where you want to be and what you are currently doing to build that business. Yeah guys! That’s it. That’s going to wrap up this episode. This is a great topic about just building out external channels and stuff and I am going to be talking more about that. A lot of you said, ”Scott, I want to know more about that.” Everyone that I met in person at these events and said, ‘Scott, when are you going to start talking about marketing our products outside of the Amazon and all that?’” That’s coming. I am just going to let you guys know that I am excited about that. We’ve got some test going on right now, some funnel stuff. If you guys don’t know what funnel is, you soon will. It really is a way for us to be able to control the amount of traffic, the amount of sales and really able to refine and tweak a business that doesn’t just relay on Amazon. Want to remind you guys too, if you wanted to attend that live event, one of the last ones I am going to be doing for a little while you can heed over to theamazingseller.com/workshop. That is going to be on June sixteenth. If you are listening to this after June sixteenth the next one after that will be some times in July, late July or mid-July. You can still register. You will just be put on the notification list. If you want to attend the upcoming live one, head over to theamazingseller.com/workshop, you can register there. [00:30:07] Scott: That is where we go through the process to launch a product from start to finish, how to promote it. All that good stuff and then from there I also answer some live Q&A. I would love for you to attend, would love hanging out with you. I want to remind you guys too, the other thing that I’ve have been doing quite a bit is Periscoping. If you guys have not hang out with me on periscope, you guys are probably want to hang out with me over there because we definitely have a lot of fun and I just do some random rants sometime about stuff like this or something that just happened. It’s kind of more live where I am able to kind of… If something happens I can kind of get it out there really, really quickly and then be able to just converse about it back and forth and answer some questions. Definitely, check me out on Periscope and you can find me by heading over to periscope.tv/scottvoelker you will find me right there and Snapchat I’m @scottvoelker1 if you wanted to hang out with me over there. Alright guys, that’s it, that’s going to wrap up this episode. I want to thank you guys again for taking time out of your day to listen. Hopefully this has helped you, hopefully it has opened your eyes if you were thinking about launching a second brand and hopefully it has helped you in some way. If it has, share it with someone. Share the podcast with someone that you think it would get value from this. That’s it guys. That’s going to wrap it up. Once again I want to remind you, I’m here for you, I believe in you and I am rooting for you but you have to, you have to… Come on say it with me, say it loud and say it very proud, “Take action.” Have an awesome amazing day and I’ll see you right back here on the next episode. Peace. Could you add the link to the podcast? OK The link has been added in the meantime.